and Shintaro Uchinuma at B&B. and the owner of B&B, Shintaro Uchinumawill talk about their works at B&B in 2rd June. 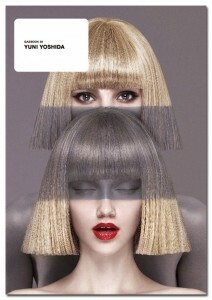 “GASBOOK30 YUNI YOSHIDA” wich was published from our company is now on sale. Yuni Yoshida is one of famous art directors and she published it for her first art book. Her unique and cute artworks is included in 160 pages. The talk show will be hold with celebrating of『GASBOOK30 YUNI YOSHIDA』. Fashion designer of ANREALAGE and the owner of B&B are born in the same age of 1980 as her. You can enjoy this talk show with beer and a lot of lovely books at B&B.